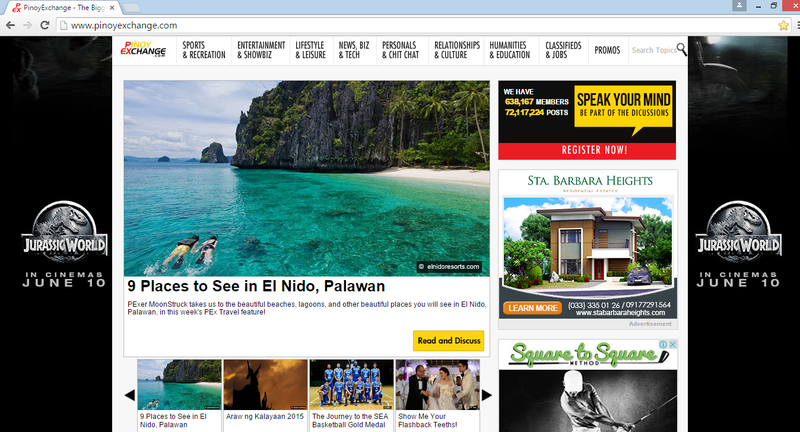 Thank you very much PinoyExchange for featuring our post 9 Places to See at El Nido Palawan! I've been a member of PEx for more than a decade now. This website was one of the first online places I've discovered over 10 years ago. The site had tremendously grew since then and it had been an inspiration for me. While PEx had grew, I did too; literally and otherwise. :D It had been a go to place for me online during these different phases of my life: the idealistic yet angst full student, the soul searching nowhere to be found working individual, to the blogger/freelancer (with family for a bonus) now these days. See this week's Travel Photo of the Week section of the PinoyExchange here. No onions please. I'd rather say, "cheers!"